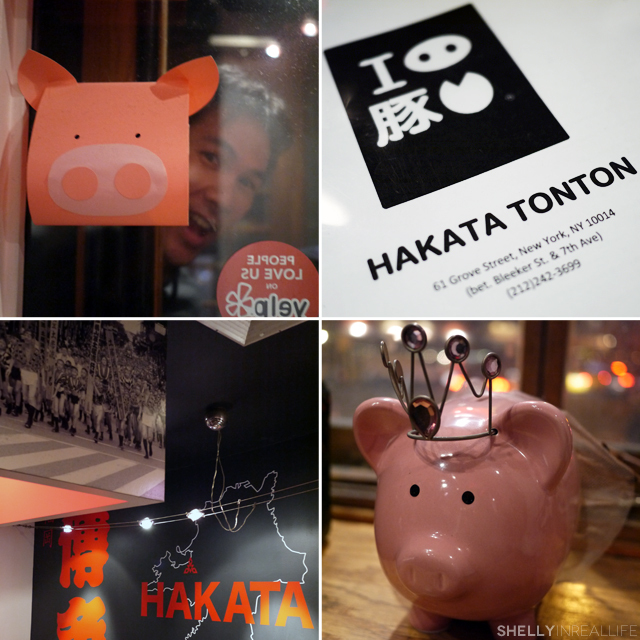 Hakata Tonton is a Japanese temple to pig's trotters located in the West Village. After hearing my brother rave about the grilled trotters, garlic fried rice, and the hot pot (I love hot pot), I knew I had to give it a try. 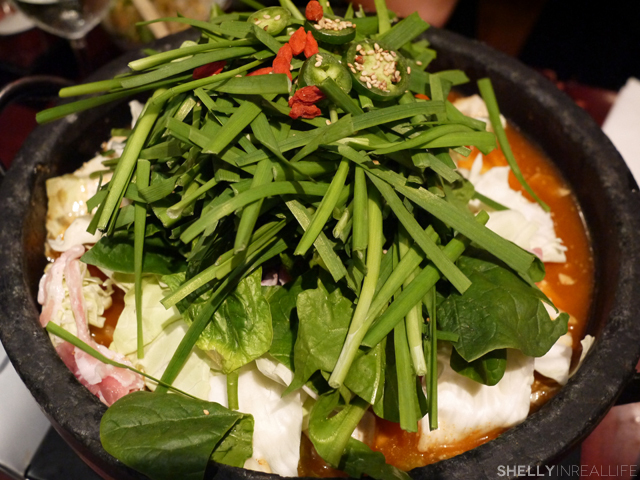 The restaurant is quite small and given its popularity, I would highly recommend making a reservation way in advanced. Even when I made a ressie a week ahead, the first opening for a table for 4 on a Saturday night was 9:30PM, so plan accordingly. After taking a look through the menu, you will know that most of the dishes include pork of some sort - from ears, to belly and of course, the trotters. 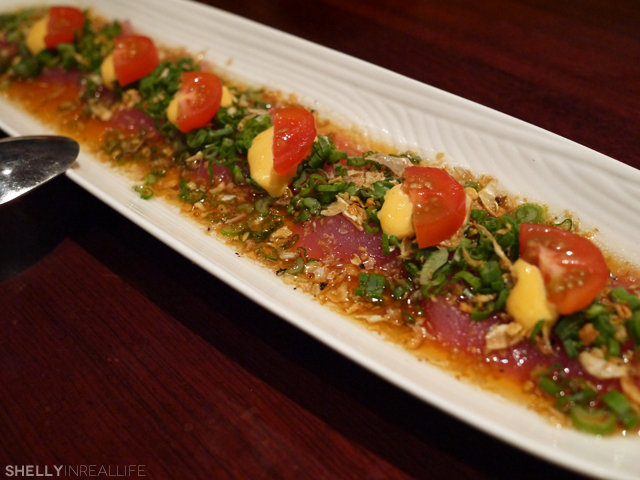 The Spicy Tuna Carpaccio (which was delicious by the way) might be the only non-pork related item we ended up ordering. I absolutely loved the fried garlic that accompanied it. I'm a sucker for fried garlic. 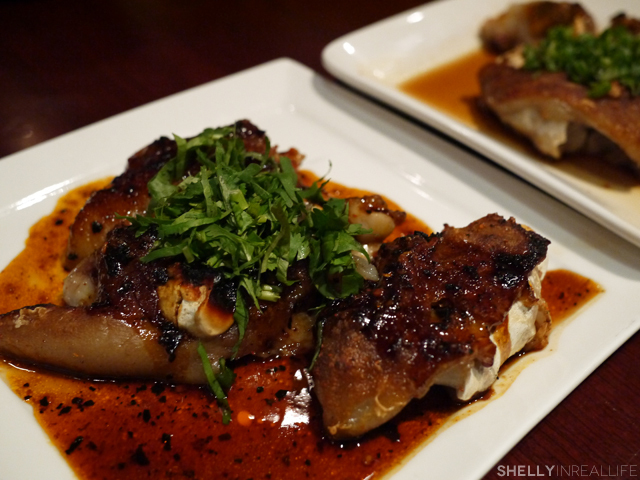 Next up, we ordered two orders of Grilled Tonton Pork, one of their most popular dishes. 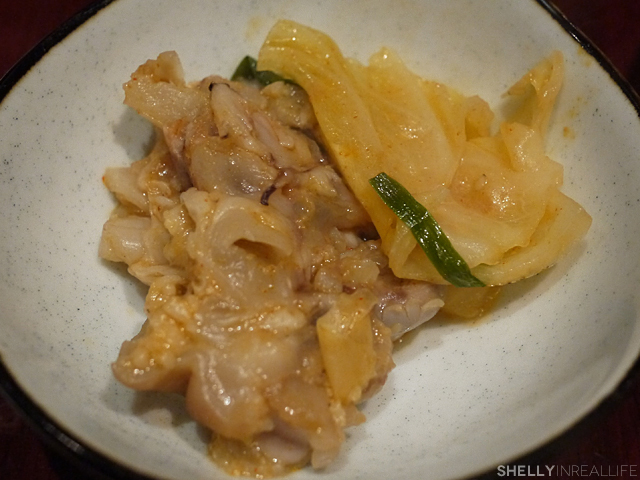 The tonsoku, or pig's feet, was served with a spicy garlic sauce and also with a yuzu miso paste. Honestly, I believe I might not be the biggest fan of pig's feet. I mean, I'll eat it, but I don't LOVEEE it. 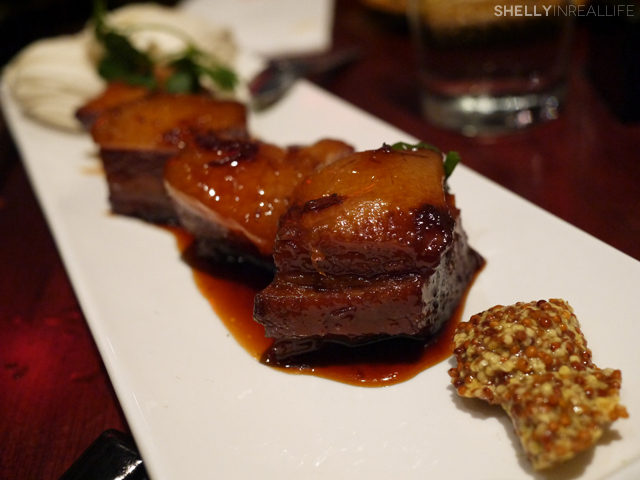 The trotters were perfectly braised so that it was soft, but the grilled charred skin gave it texture that's normally not found with trotter dishes. Another popular dish at Hakata Tonton is the popular Japanese street food, Okonomi-Yaki Pancake, served with pork tonsoku (of course), konjak & okonomi sauce. This was actually a lot spongier than I expected, but who doesn't love this savory pancake covered in a sweet and tangy sauce? Definitely one of the best that I've had. 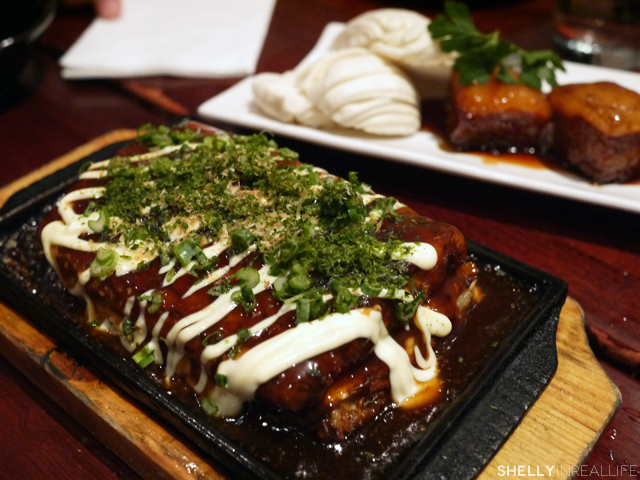 Given the whole pork bun craze at Ippudo and other Japanese joints, we had to try the Slow Cooked Pork Belly w/ buns and spicy mustard. The pork was braised for a long time, perhaps too long as the fat was sliding off the meat, making it pretty awkward to eat without making a huge mess. The buns weren't especially soft either, but perhaps their generous portions made up for the lack of execution. 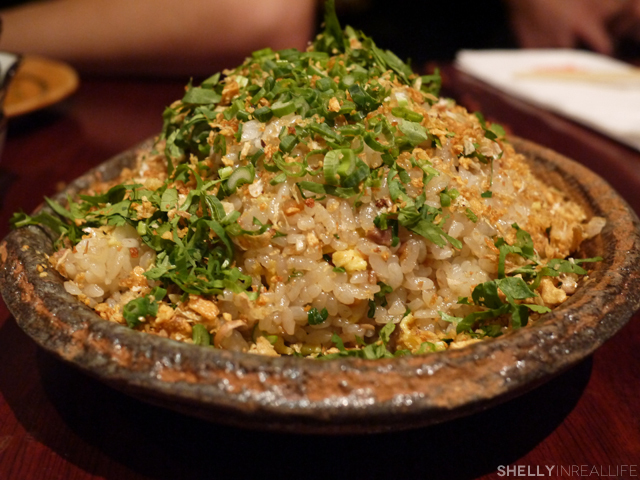 If you like garlic, you will love the Garlic Fried Rice, made with, what else? Pork tonsoku. And finally, came time for the big finale, the Hakata Tonton Hot Pot, the namesake hot pot made of just all kinds of boiled goods. It's a specialty native to the city of Hakata in Japan, It's made with a collagen broth, tofu, chicken, dumplings, vegetables, pork belly and... say with with me... tonsoku! The whole dish is actually quite impressive. 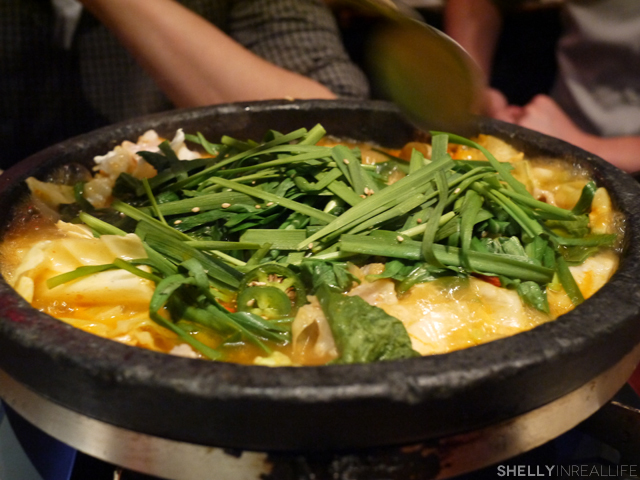 They took it out towards the end of the meal as it was still cooking, and fresh veggies, chives in a stone pot. It takes about 10 minutes before it continues to boil down on top of the portable stove, giving all of us time to digest and make room for the feast ahead. The pot of soup was so hearty, it was perfect for our cold winter day. 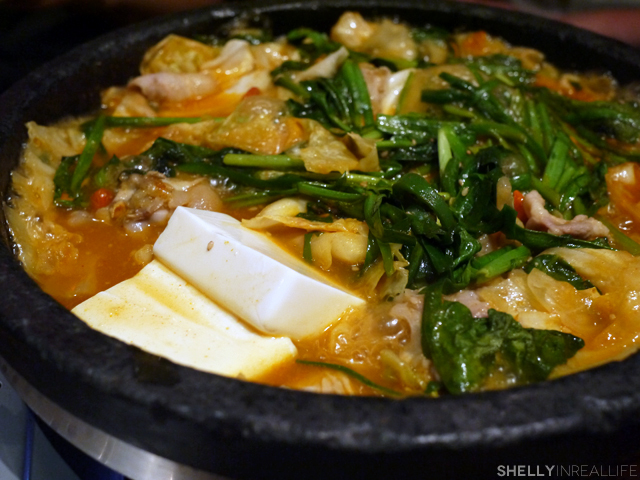 As a lover of hot pot, I really enjoyed the flavorful broth here. Unlike Japanese Shabu Shabu, which they also serve here with a collagen broth, I really liked the random items added to the soup. And of course, what's a post about Hakata Tonton without pictures of the tonsuku in the soup? All in all, I enjoyed my meal at Hakata Tonton, but unless I was craving a really hearty meal full of pig's trotters and other less traditional parts of pork, I wouldn't be running back here anytime soon. The service here was a bit slow. The price was fair for Manhattan, but I can see the smaller dishes definitely started adding up. 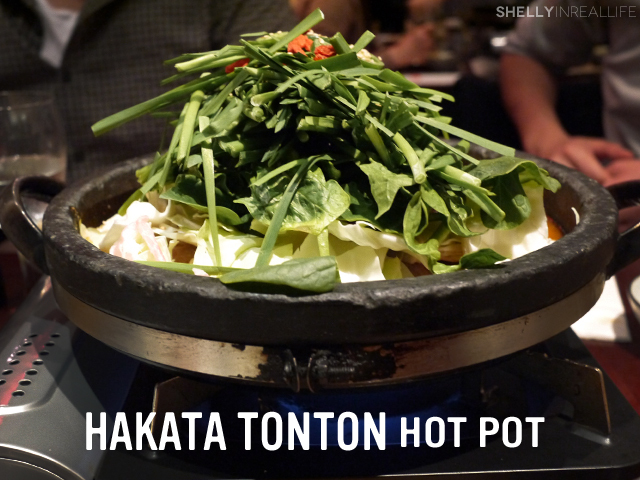 The most affordable dish was the Hakata Tonton Hot Pot which was only $13 per person - which I will easily come back in the winter time for. 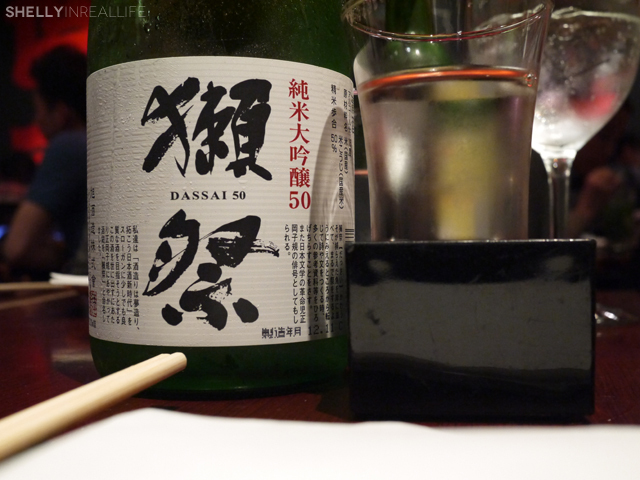 Bu, unless I wanted the hot pot, my go-to joint for Japanese comfort food would still be Sake Bar Hagi in Midtown. Now, if only I can get myself to take pictures of that instead of eating everything in sight, I might blog about that in the future.